In 2012, at thirty-eight years old, Melanie was diagnosed with breast cancer. As a young mother, treatment was understandably hard. Rethink Breast Cancer offered support to Melanie through this most difficult time. 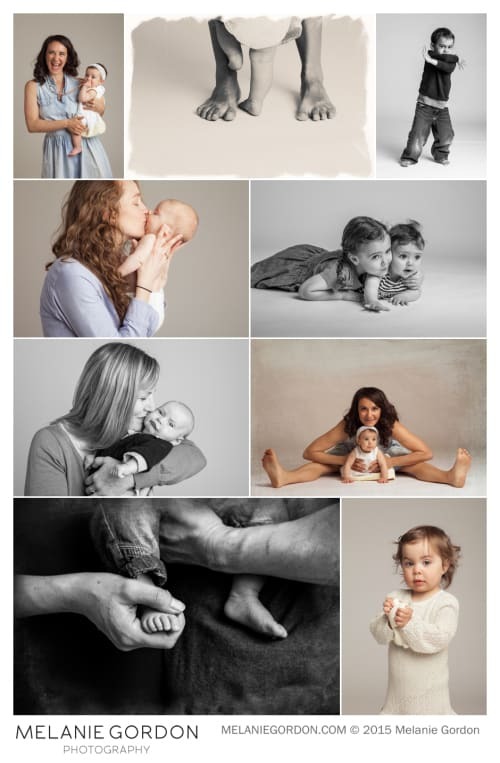 On April 25th and 26th, with the help of Rethink Breast Cancer, Melanie held a photography charity fundraiser to help all mothers celebrate Mother’s Day. 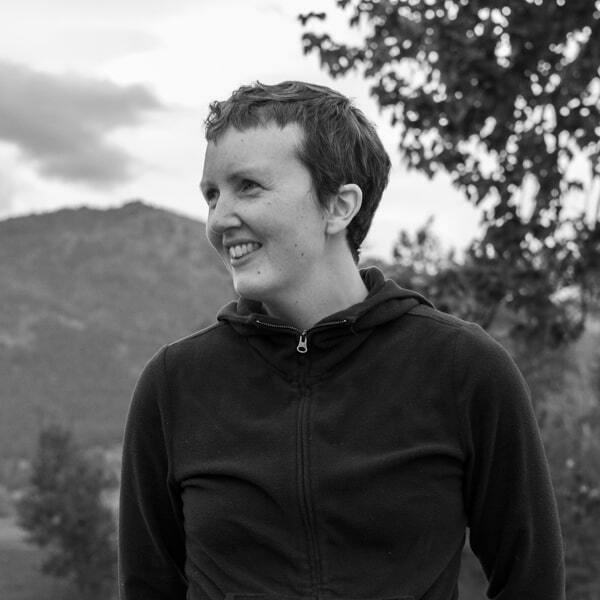 Now, as part of a six-month photography project, Melanie is donating 10 family documentary photo sessions to young mothers who have experienced or are experiencing breast cancer at various stages of treatment. The sessions would consist of about two hours of photo coverage at the family’s home, documenting family life. Anyone in Toronto who’s interested in taking part can contact Melanie at 416-707-9112 or info@melaniegordon.com. We spoke with Melanie to find out more about her battle with breast cancer, how it has influenced her family, and what Mother’s Day means to her. SDTC: What did Mother’s Day look like with your own mom when you were young? MG: I usually made something for my mom on Mother’s Day and we celebrated over brunch with my immediate family and my granny. My parents always encouraged me to be an artist and always appreciated my creations. This day was an opportunity to pause and appreciate my mom and my granny, to tell them I loved them, to tell them how special they were to me. My mom always put my brother and me first. She inspired and supported us and loved us to bits, taught us how to be good people. We still feel cherished and loved above all else. Thanks, mom, for showing me how to be a great mom. Happy Mother’s Day! What has battling breast cancer taught you about motherhood? My daughter Indigo was 20 months old when I found a lump in my breast. I had just weaned her and thought that this was the remnants of a blocked milk duct. Nothing could have prepared me for the truth – this was breast cancer. I was 38. In a daze I went to appointment after appointment and struggled to get the information that I needed. I learned that I would have to have surgery, chemo, and radiation and that it would damage my fertility. Luckily I had enough time and resources to freeze embryos, which would represent my last chance to have another child. I learned a lot of things while battling breast cancer. I learned that being a mother is the greatest honour and responsibility in this world. In the early days of my diagnosis, what I found most devastating was the thought that I might not be around for my daughter as she grows up. It also broke my heart to know that I might not be able to have another baby because I really wanted Indigo to have a sibling. I also felt the weight on my mom’s heart as she watched her daughter go through this difficult time. I learned that you never stop being a mother. I learned that while I have been through challenging times I am so blessed to have the love and support of friends and family. I learned never to underestimate people’s capacity to help or to love. I learned to appreciate the small things in life. I learned to slow down, be present, and see the world through the eyes of a child. Being a mother to an amazing 4 year old is what I am most proud of. When everything else falls away, love and family are what is left. What is your favourite thing to do with your daughter on a Saturday? My favourite thing to do with my daughter on a Saturday is to take her to dance class and watch her move with such joy and freedom. I also like going for walks with her and sitting in a cafe together chatting. 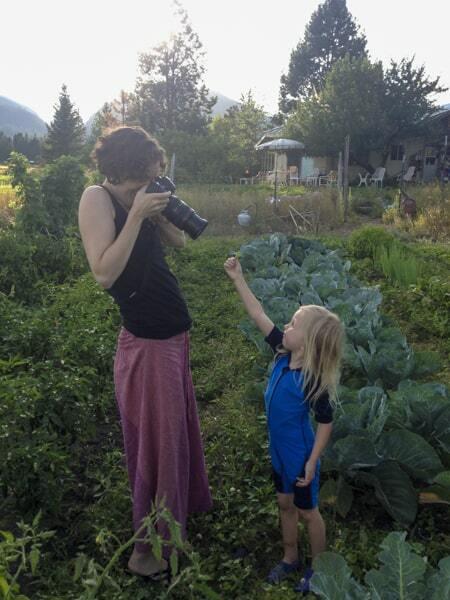 What has this Mother’s Day photo project meant to you and your family? This Mother’s Day photo project was conceived as a way to help families celebrate this special time in their lives by making photographs of them that remind them of the love they have in their lives. I believe that documenting our lives and our loves is so important. The other purpose of this project was to raise money and awareness for Rethink Breast Cancer, an organization that focuses on supporting young women affected by breast cancer. Though I felt like I was at a point in my cancer journey where I could give back, this project has actually been very emotional for me. I am grateful that so many families came out to be photographed and helped to raise $800 for Rethink Breast Cancer. I am grateful for the connections that I have made with other moms working on this project. I am grateful that my photographs have brought so many families joy and captured for them a time in their lives that they will be able to look back on with love. What do you want to tell young moms who are experiencing breast cancer? For other young moms who are experiencing breast cancer, I want to say that yes, it is hard. There will be many days where you will feel conflicted by needing to take care of your child and yourself and will not have enough energy to do either. But, everyday I smiled and laughed with my daughter. She kept me hopeful and she kept me happy. I was lucky to have a loving and supportive husband who made everything a bit easier and lucky to have friends and family visiting almost every day to help with taking care of Indigo and making food. I am grateful for this and still it was hard. If your support network is small, I would suggest seeking out help through Rethink Breast Cancer or Nanny Angel Network. Rethink connected me to other young women experiencing breast cancer and provided many support and educational opportunities. Nanny Angel Network sent a babysitter for a few hours each week, which helped out tremendously. You will be faced with a lot of decisions that are difficult to make and connecting with other women to talk about them is really helpful. Most importantly, when challenged by this cancer journey, you have the opportunity to realize and focus on what is most important in life. Follow Melanie at www.melaniegordon.com and find out more information at rethinkbreastcancer.com and nannyangelnetwork.com. melgordonphoto rethinktweet shedoesthecity Wonderful, Melanie! Thanks so much for your appreciation. We’re so happy we could help you!